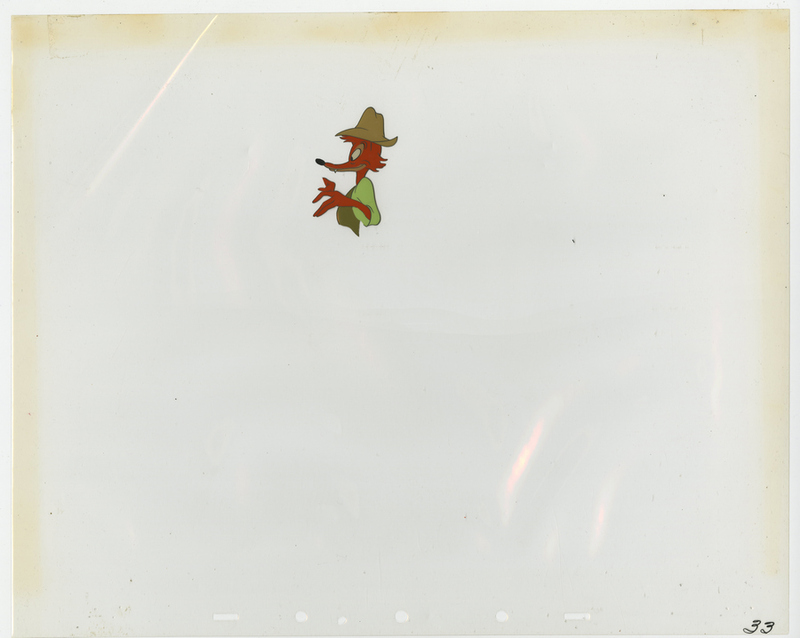 This is an original production cel and background set-up from the Walt Disney Studios production of Song of the South (1946). 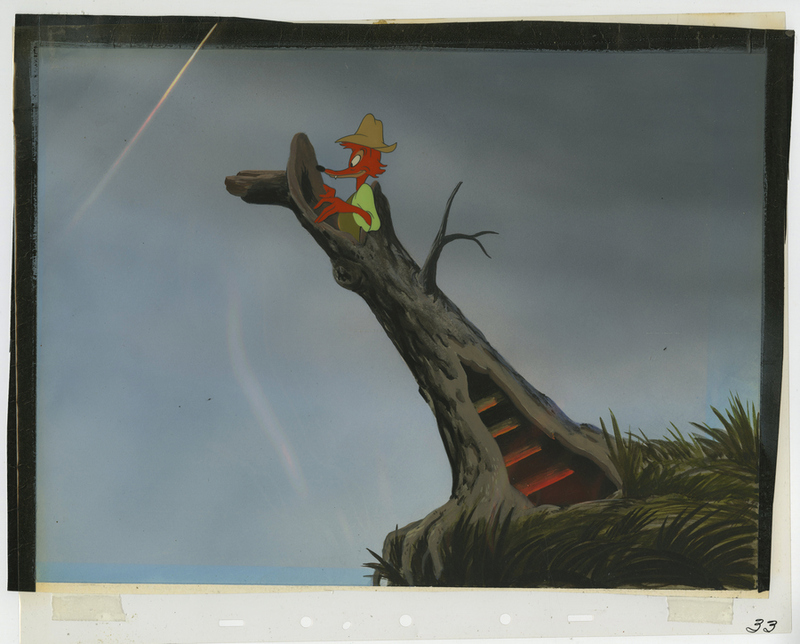 This fully hand-painted matching setup features Brer Fox standing at the top of his tree viewing perch, just as he's about to look through his make shift branch "telescope" to see the just trapped Brer Rabbit, and was created at the studio and used during the production of the film, representing an actual frame of animation that was photographed and appearing as it does in the film. 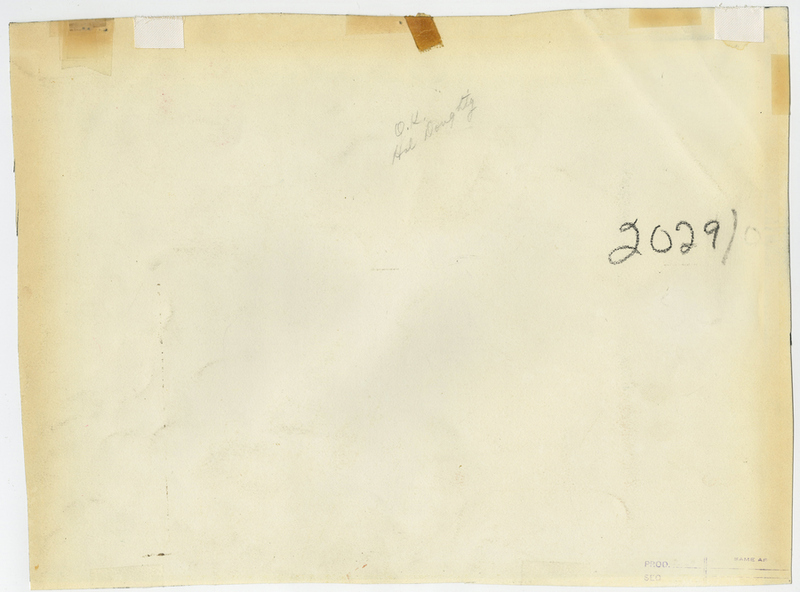 This very rare hand-painted production background features a hand-written production number and a hand-signed OK by the film's art director, Harold Doughty. 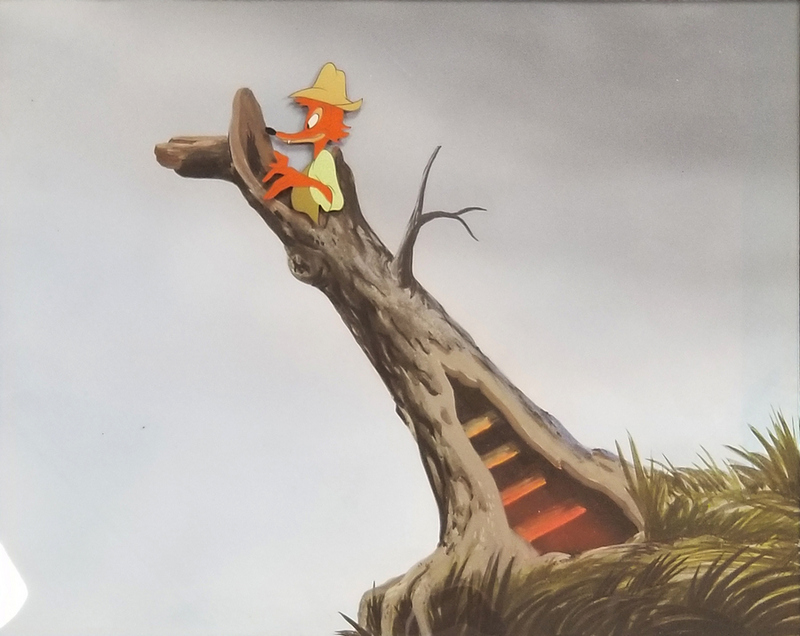 It's hard to decipher the exact matching details in the film due to the low visual quality of the film availalbe for reference, but this background is either the final background photographed and appearing in the film, or a near final preliminary. This is a truly wonderful original matching production setup that is rare to come across. 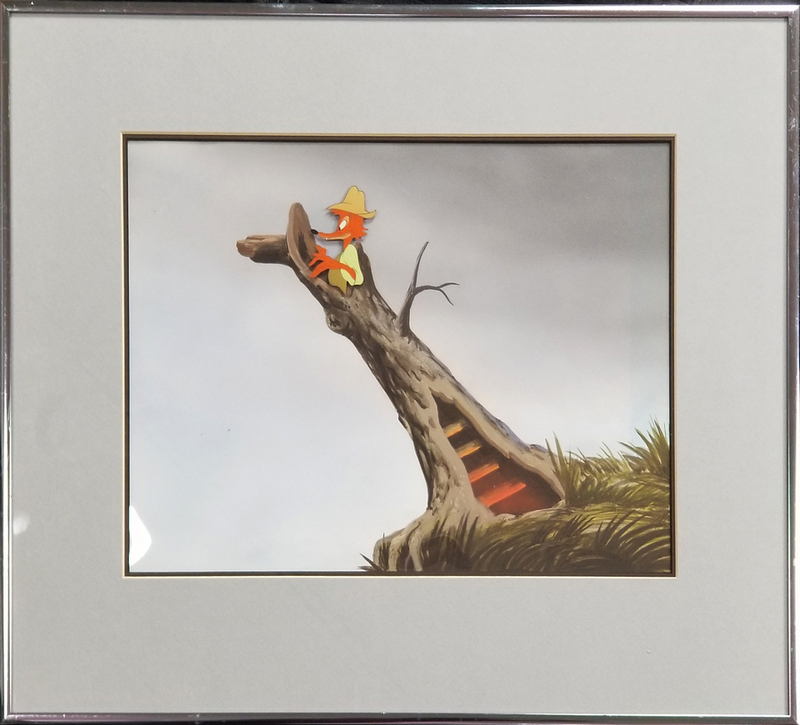 The overall measurements of the piece are 16.75" x 19.5" framed with the mat opening measuring 10" x 13.25". 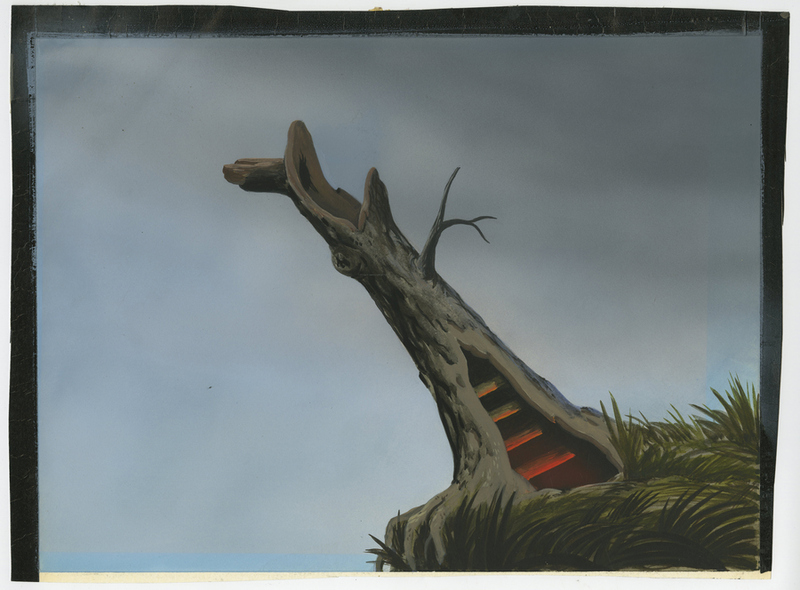 The piece is in very good condition with a light diagonal crease in the upper left corner of the cel and background.